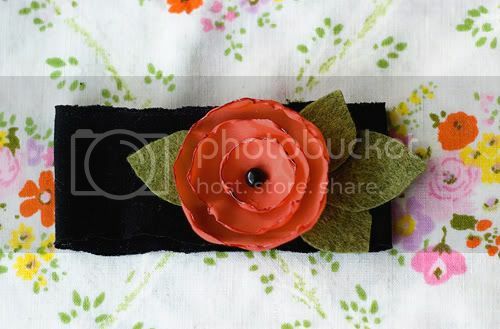 ok, so remember this cute headband i made months back for me inspired by this ruby sue headband? well, last week i finally got around to starting on some little girl things… [it’s about time, since she’s going to here soon..] and, i made a mini-me version for baby girl. i know it may be a little over the top to have feathers and all on a baby headband. but, i couldn’t resist being twiners. now, i just need a little head to put it on. and, here’s a few others i made. i made poppies using what i learn in this tutorial i purchased from foundling. you make the poppies by burning/singeing fabric. it was kind of scary at first, i’ll admit.. i kept lighting the darn thing on fire. but, after you get the hang of it, it’s kind of fun! i’m all on board for fun girl things to make. there are so many cute things to make for girls vs. boys. i always had the hardest time finding fun things to make for z man. and with baby girl, there are endless possibilities..
oh, and p.s. props to all you who make and sell headbands… it’s super hard work, and i’m not sure how many times i burnt myself with the glue gun. i think i’ll stick to making jewelry. I declare this our next craft. When can you do it? My house. So Cute Caroline. We need to have a craft day next time I come to visit Jess. Which I hope is soon. Hi! what material do you use for the actual headband part? Thanks!! I think these are gorgeous. really nice headbands, so different. i love your creativity. 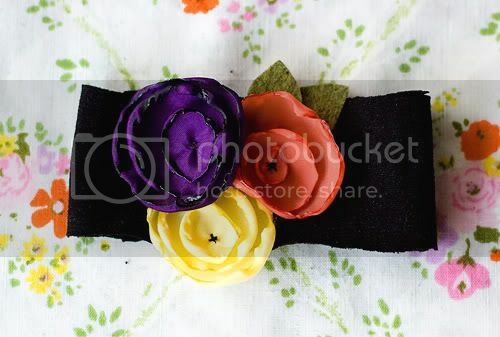 I loved making the head bands with you!…I got so many compliments on the ones I made!! !….Let’s do it again! Love these! Question, did you make the actual headband part? If so, what type of fabric did you use? what did you use for the headband? i love these! 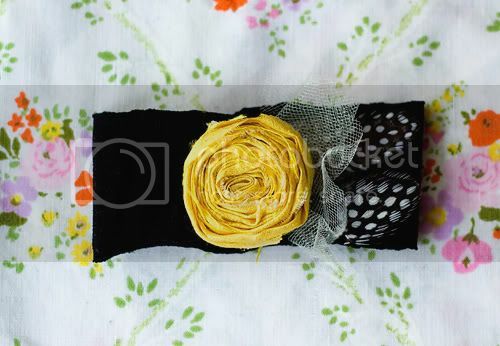 Have you ever considered selling these cute headbands or do you know of someone who does? Expecting first girl this fall!